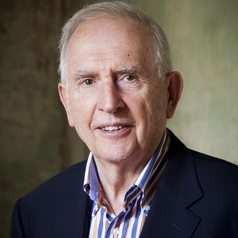 Hugh Mackay is a social researcher and the author of sixteen books – ten in the field of social psychology and ethics, and six novels. His latest book, Beyond Belief, published in 2016, and his sixth novel, Infidelity, was published in 2013. In recognition of his pioneering work in social research, he has been elected a Fellow of the Australian Psychological Society and awarded honorary doctorates by Charles Sturt, Macquarie, NSW and Western Sydney universities. A newspaper columnist for over 25 years, Hugh is currently an honorary professor of social science at the University of Wollongong, an adjunct professor in the faculty of arts at Charles Sturt University, and a patron of the Asylum Seekers’ Centre. He was previously deputy chairman of the Australia Council, chairman of trustees of Sydney Grammar School and the inaugural chairman of the ACT government’s Community Inclusion Board. In 2015, Hugh was appointed an Officer in the Order of Australia.